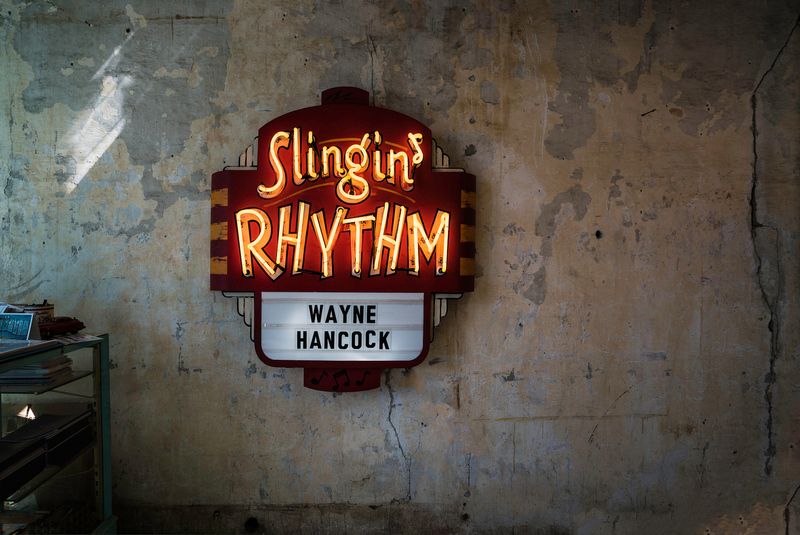 Dig the retro-neon design based on The Train's Slingin' Rhythm album. Based on the real sign designed by Todd Sanders. 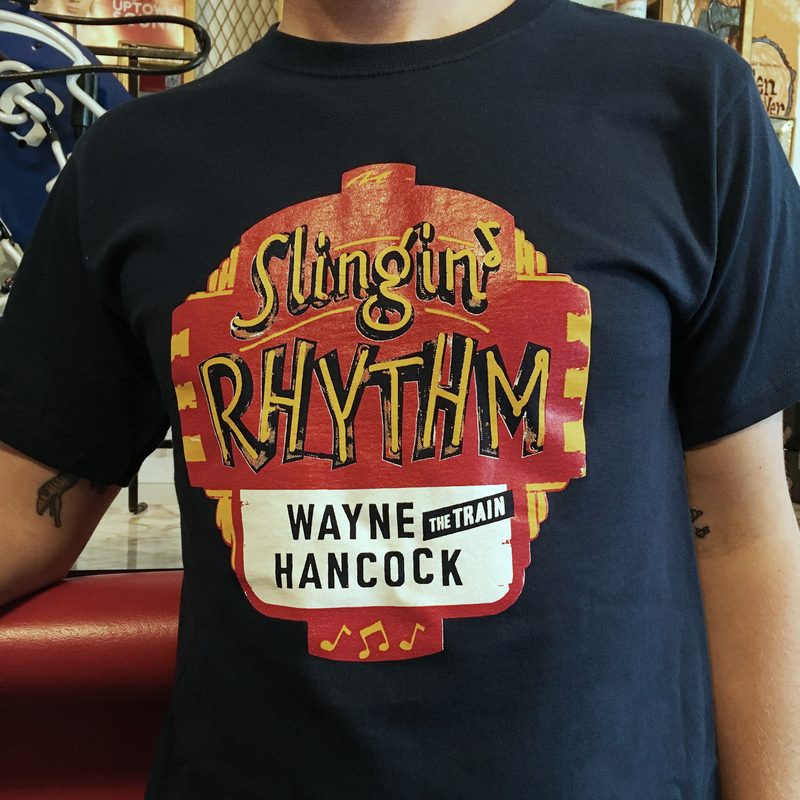 Multi-colored design on a dark navy blue T.
Stylish, swingin' and suggests YOU know where to go to have a good time.